At Deep Image, Our focus is to make sure that everyone receives the highest quality and attention to detail, no matter how large or small the request. The artists at Deep Image have received numerous awards and been repeatedly featured in Tattoo magazines from around the globe! 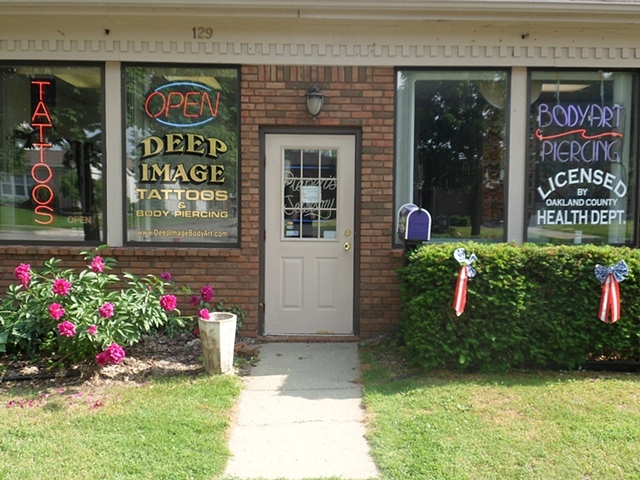 In addition, the artists at Deep Image are willing and more than capable of executing any and all of your body art needs, from Piercing & Jewelry to any type of tattoo whether you're looking for something in Color, Black & Grey, something small or large, portrait work, color photo realism, extensive work (like a full back, sleeve or panel), a custom piece, or something made to fit a certain style, location or body part, Deep Image has an artist to handle it! Please check out the artists' portfolios and feel free to contact us with any questions either by phone, via email or stop by the Studio and talk to someone personally!